A food technology company that operates a yield management platform for restaurants, provide a strategy update for both its UK and Asian operations. Since the IPO the Asian business has grown, seating three times more diners than 12 months ago. Furthermore, the Directors have been approached by more than one Asian technology company on an informal basis regarding the potential acquisition of the Asian business. As such, the Directors have decided to conduct a strategic review of BigDish’s Asian business to determine the path to achieving the most value for shareholders. The result of this review is expected in January. The Company announced on 1 October 2018 the appointment of Sanj Naha. Mr Naha has made an immediate positive impact on the Company. At present, both BigDish in beta and TablePouncer are operating. The initial beta phase has produced a variety of operational and technology recommendations, which are currently being implemented. One of the recommendations was to upgrade the branding for the UK market. Based on feedback it was decided to alter the branding within the UK app. This branding process has started with a change of logo in the UK and will be implemented over the next couple of months. Sanj Naha has developed a model for growing the UK business on a per territory basis, in accordance with his previous experience in restaurant reservation and yield management applications. The Company has added a new territory manager to cover the south west and new restaurants are being added to both the TablePouncer and BigDish businesses. The initial focus is to sign up restaurants in Bristol. The UK business is expected to be fully rebranded and TablePouncer will be completely absorbed into BigDish by January, at which point the Company plans to end the beta phase. As announced on 17 September 2018, the Company is confident that there are a potential 6,000 restaurant partners in the UK. The prime focus of Q4 2018 is building a launch pad for growth in the UK in 2019 which will be the prime focus next year. The Company expects to announce in early January its specific targets for the UK business in 2019 including various metric targets. 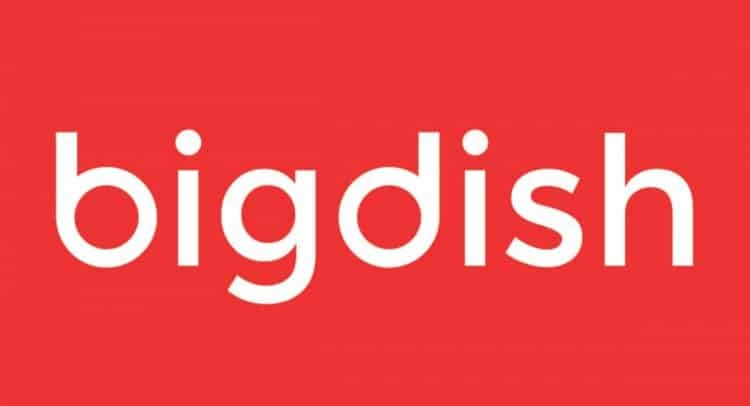 Depending on the outcomes of the Asian business strategic review, BigDish may require substantially less capital for growth than previously anticipated, which the Directors believe will benefit shareholder value. The Company has increased the size of its technology team from seven to nine persons. The Company intends to continue to grow this team, to 15, over the next year. This will improve product development and the speed at which new features and updates can be completed. Basing BigDish’s technology development team in the Philippines represents a significant cost saving compared to having it based in the UK. “The addition of Sanj Naha has had a very positive impact on the Company. Sanj’s experience in the restaurant tech space gained at tech giants such as TripAdvisor and The Fork is proving invaluable as we build the launch pad for aggressive growth in 2019. The UK business will continue to be the prime focus going into next year and will be the value driver for the share price.